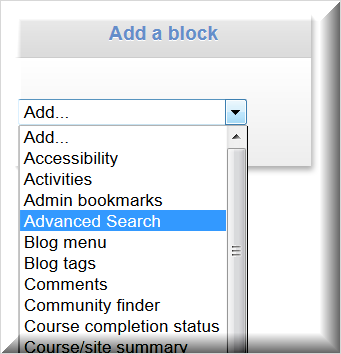 The Advanced Search block provides the user with a customized tool to search for courses on the LMS that they may want to enrol in. Note: The exact language for these basic search parameters can be revised by going to Settings>>> Site administration>>> Language>>> Language customisation. The location of the language strings for this search block are at block_advsearch.php. Clicking on any of the course names, which are links, will take the user to the course (if Self Auto Enrolment is enabled) or to the course enrolment page (if Self Enrolment or Token enrolment is enabled). 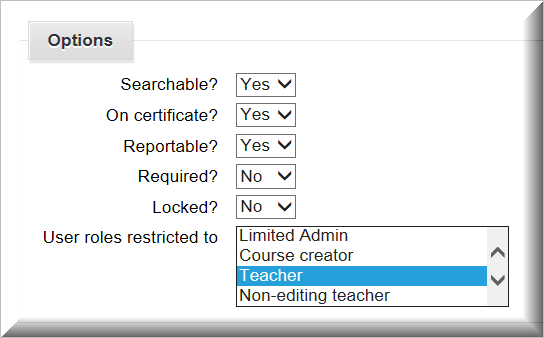 Note: a Custom Course field might have a Role Restriction and the user will be able to search by that course field only if they have the designated role. 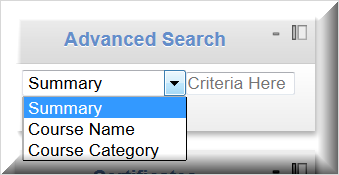 The user can put search terms in any or all of these fields to make the search very detailed. Note that the Starts From and To fields must be enabled in order to use them. Show First and Language (the language, if different from the site main language, is also set in the course settings update dialog page). Keys Words operate in a way similar to the Criteria field in the Advanced Search block: they are any words or phrases found in a course name, such as “Training”; in a course summary (description), such as “harassment”, or in a topic area, such as “workplace safety." 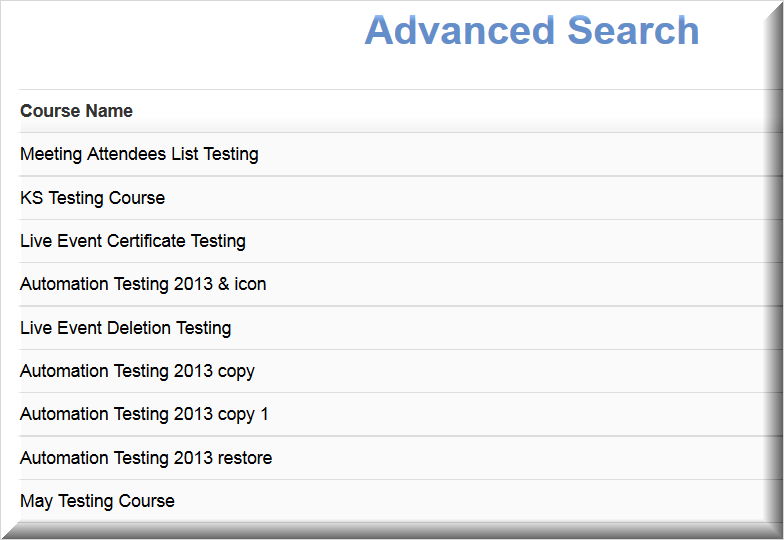 Note: Only Custom Course Fields that are Menu Choices or Multiple Choice will appear on the Advanced Search form. (See Refined Custom Course Fields for more information on Menu and Multi choice Custom Course Fields.) 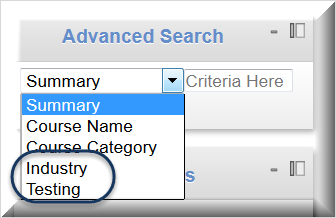 However, the Advanced Search will not filter courses by these fields unless you select one of their Menu options or one or more Multiple Choice options via the drop-down menus. If nothing is selected, the Advanced Search function will ignore them.